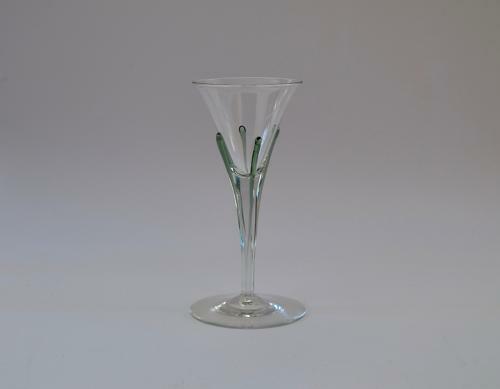 Flint wine glass with four sea green tears designed by Harry Powell 1899. Made by James Powell & Sons. London. Similar glasses are illustrated in Whitefriars Glass 'The Art of James Powell & Sons' Edited by Lesley Jackson 1996. p.106, plate 36.